Honestly - very few photos taken this week. The world's costliest smallest room is progressing slowly but surely, meanwhile we are squished and squashed even more in our wee house and it has rained and rained and rained. Thankfully we are not being flooded (although we do have a small roof issue) so we cannot really complain and my thoughts go out to those that are. However most of the photos were taken when I dragged the girls out on the Ranges on Sunday. The sun was spotted in the sky and they were going out no matter what and we did feel so much better for it. I have said before how much I love going over there - it has a stark beauty and great light for photos (check out tomorrow's Sunday photo too). Oh and Rollercoaster Dad and I went to a concert - you might even call it a gig and had a night away but because of that I am having to write this early so the only pic you have is of the tickets! Oh and I guess I should wish you all Happy Valentines - it hasn't really figured in my week though. 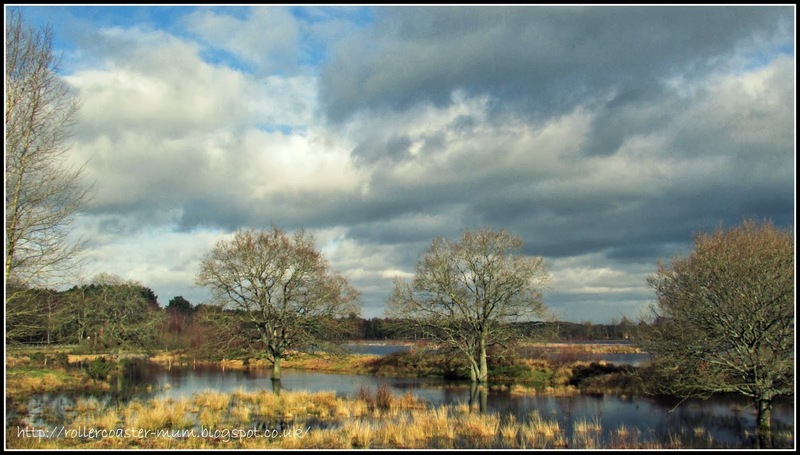 The water has flooded the main ranges but they are very beautiful. 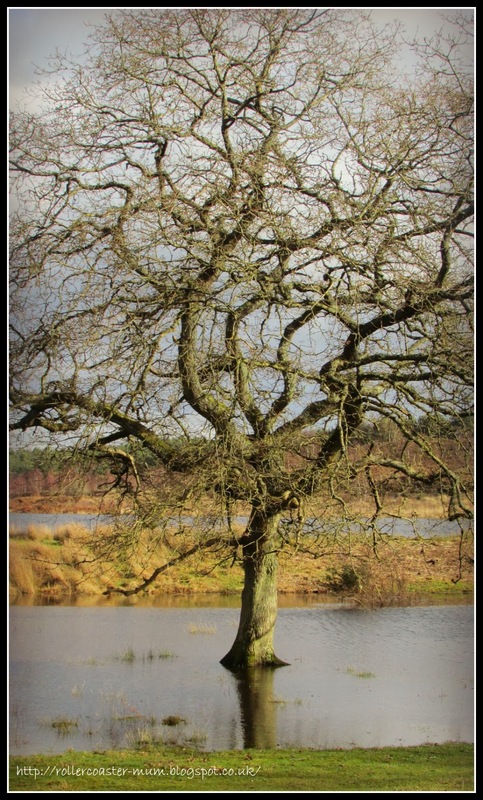 The trees look like they are paddling too! 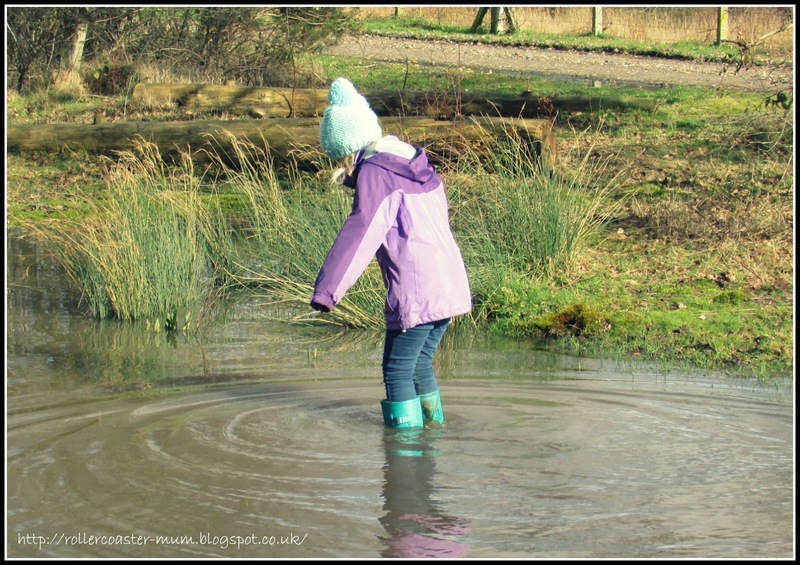 Other ways of making a splash in a puddle - throwing stones in it! 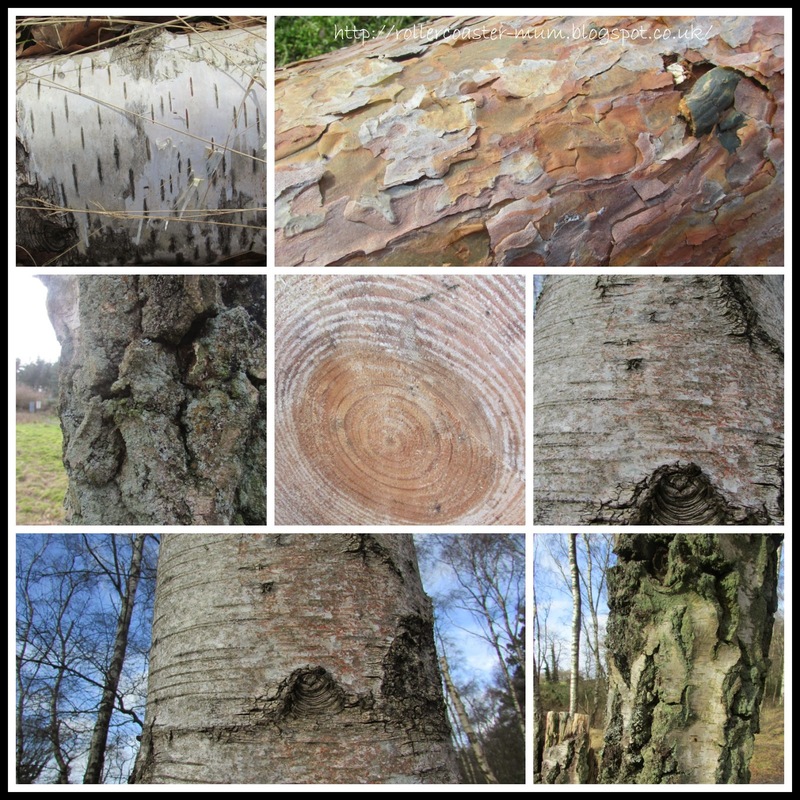 Meanwhile I was looking at the fantastic textures that you get on trees. 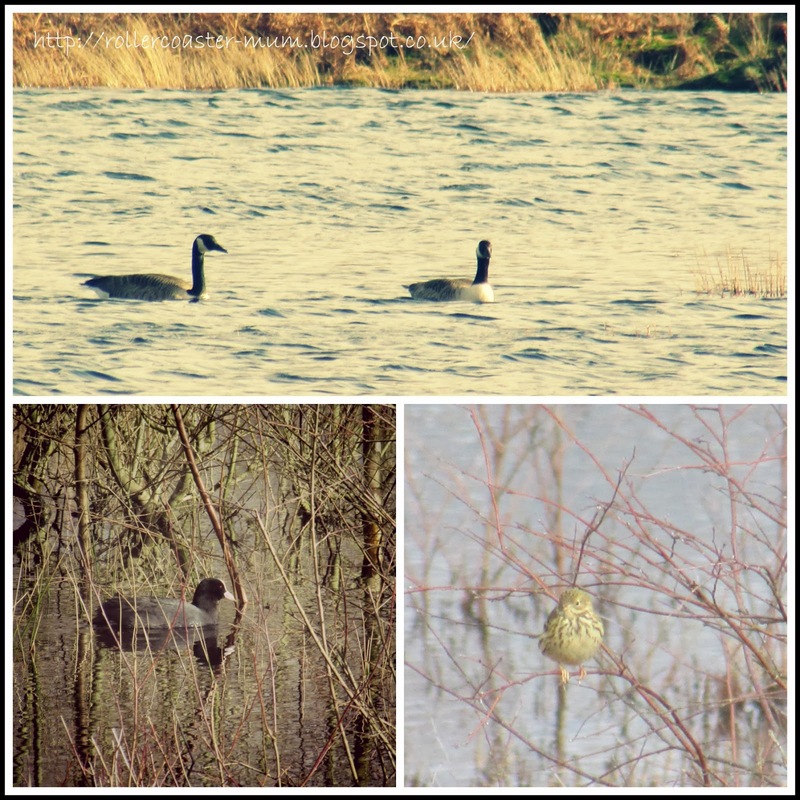 and looking out for the birds - who are quite enjoying the flooded ranges. 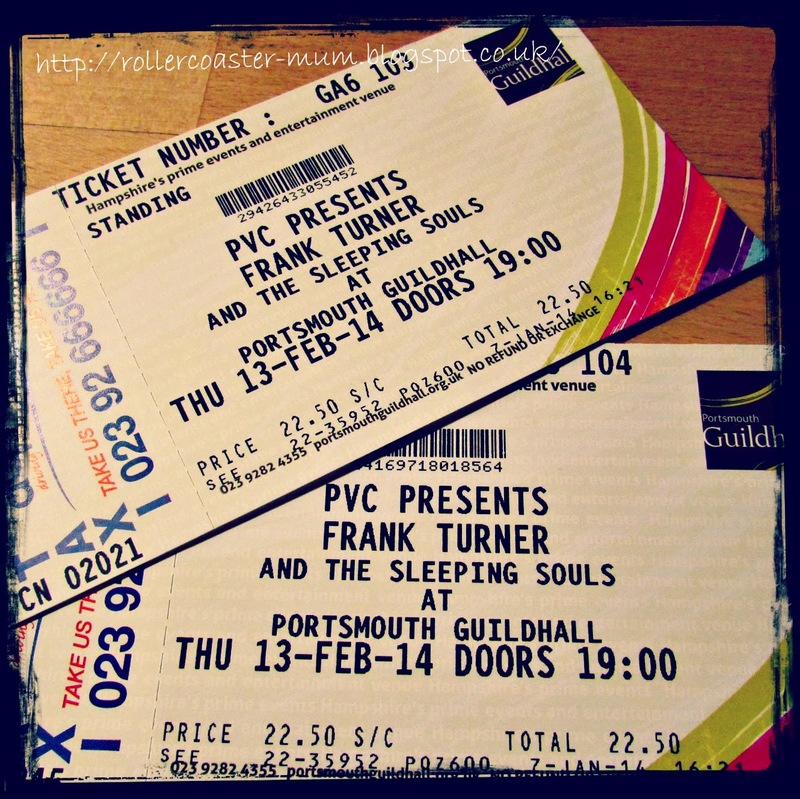 And lastly - the gig tickets! It sounds like you all needed to get out and stretch your legs. 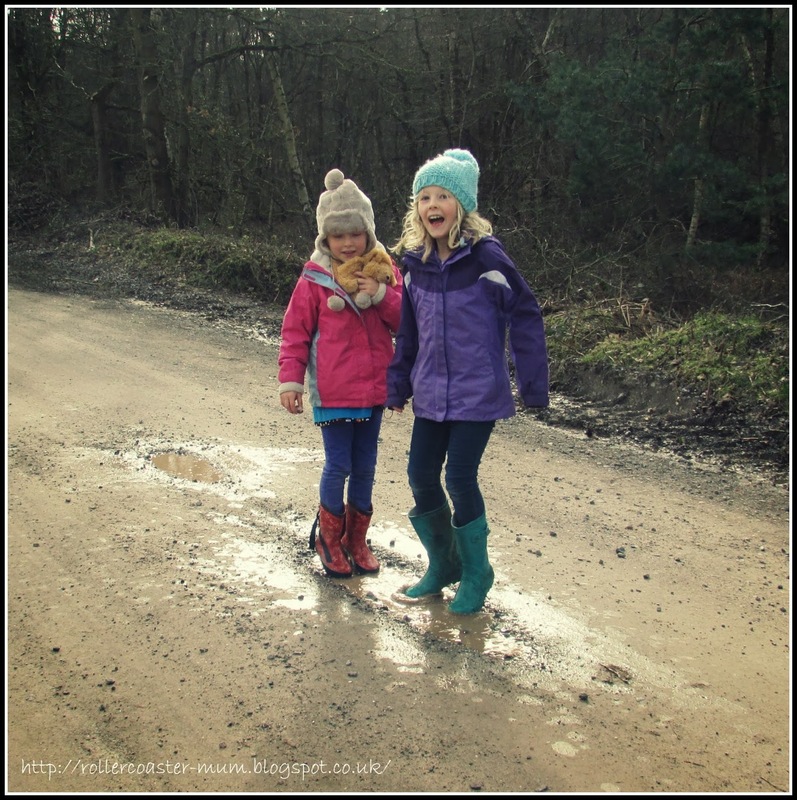 Lovely photos of the girls having fun climbing trees and puddle splashing. Thanks for linking up and sharing and I hope you both had a great time at the gig. Some really scenic shots. Hope you had fun on your night out! Hope you had a fabulous time at the concert? 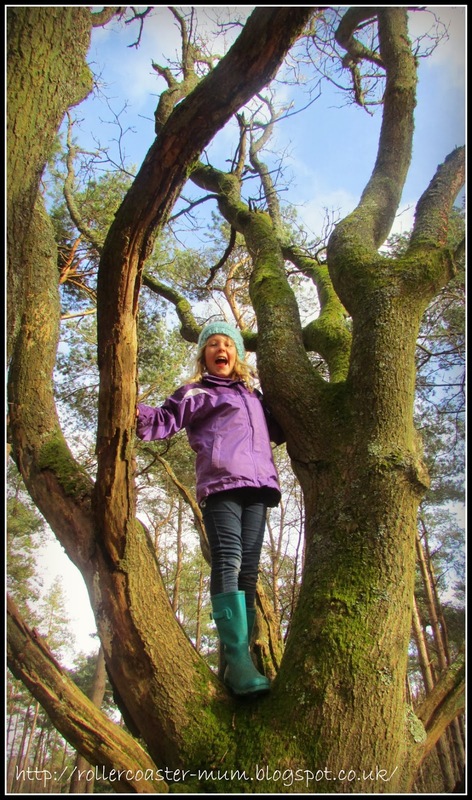 Great tree-climbing photo, she looks very competent at it! Love the 'plopping pebbles' photos. There's a serious amount of water there! I love the 1st photo of your daughter in the tree. Great shot! 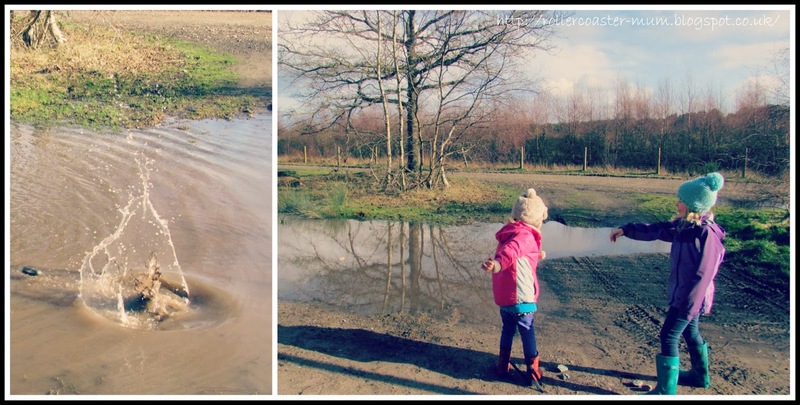 Wonderful - there can't be enough muddy puddle pictures in my opinion! The girls look great in their outdoor gear - snug for adventures!